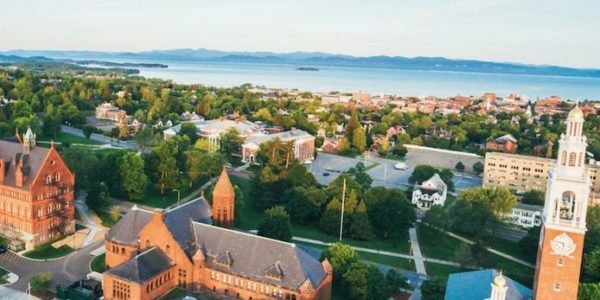 In order to provide prospective students with the best chance at having a great education, we have compiled this list of the top universities and colleges in Vermont. Some schools may excel at online programs while others may focus exclusively on the traditional, on-campus aspect of higher education. Regardless of the delivery format, these schools excel at providing a quality education for their students. Attendance for both Graduate and postgraduate education has risen in dramatic fashion in recent years. Working full-time employees and stay-at-home parents may consider continuing their studies through some of the most outstanding online colleges in Vermont. The most outstanding excellent online colleges in Vermont feature some of the best associate, bachelor, master and doctorate degrees. Vermont promotes many different initiatives to entice students to consider online learning. It is one of six states that are part of the New England Board of Higher Education (NEBHE), an educational collaboration that offers a variety of benefits to New England residents who want to pursue online learning. As a result, many online colleges in Vermont are highly accessible and up-to-date. Vermont’s demonstrated commitment to making distance learning more accessible and technologically innovative makes online college a worthwhile investment for many. Residents also have access to the Vermont Virtual Learning Cooperative (VTVLC), which brings students with schools across the state. Online degrees in Vermont provide the same level of quality as in the classroom. As part of our list, we look at both online and traditional schools and the quality of their programs, graduation rate, job placement, and tuition costs. The graduation rate is the student’s ability graduate within four years of starting school. Each of these qualities helps determine how well a student will succeed by enrolling in a Vermont college in the U.S.
Champlain College’s is one of the most outstanding online colleges in Vermont, thanks to its number of quality programs, graduation rate, and selection of workforce areas. The online degree programs and certificates offer fast tracks to completion and coursework that’s relevant to student’s area of work. Bachelor programs are available for several regions: Accounting, Healthcare Administration, Business Management, Computer Forensics & Digital Investigations, Management Information Systems, Computer & Information Systems, Software Development, Cybersecurity, Web Design & Development, Economic Crime Investigation. Champlain College is in the city of Burlington and has an average enrollment of 2000 students. The university is a private, co-educational institution. Norwich University comes in at second with similar qualities to Champlain Colleges. The university offers six bachelor’s degree programs designed for working adults. The degrees can be earned 100 percent online in the fields of interdisciplinary studies, criminal justice, cybersecurity, management system, national security studies, strategic studies and defense analysis. Also, there are 12 graduate programs and four certifications available for students. The Bachelor of Science in Strategic and Defense Analysis is for active duty, Reserve and National Guard soldiers, airmen, sailors, and Marines. The course builds on military personnel’s education and experience. They can complete the degree in two years by transferring up to 90-semester credits into the program. Norwich University is a military college and is a private institution located in Northfield, Vermont. It is the oldest private military college in the United States. The University of Vermont offers e-learning at the undergraduate and graduate programming in areas as diverse as farmer training, ecological economics, cybersecurity, and medical school preparation. Bachelor’s degrees are offered 100 percent online in nursing and health sciences. The RN to BSN program permits registered nurses to complete a bachelor degree online. The online bachelor’s degree in health sciences is for working adults with at least one year of college education or an associate degree who want to pursue non-clinical careers. The University of Vermont is among one of the oldest universities in the nation. It is home to 12,100 students from all over the United States and the world. UV has more than 100 majors administered by seven undergraduate schools and colleges, 50 master’s, 22 doctoral degree programs, and a faculty of medicine. Johnson State is a liberal arts university that focuses on environmental and social awareness in their associate, bachelor’s, and master’s programs. Undergrads at JSC can enroll in unique programs, including majors in Professional Studies and Wellness and Alternative Medicine. The school offers six online programs highlighting a bachelor of science in wellness & alternative medicine. Course options included human anatomy and unique programs in Native American healing and applied herbal pharmacology. The childhood education program requires students to be on campus for portions of the final year of the program. Also, distance learners pay in-state rates for online courses, and part-time students pay a $20 per credit fee. Students must have at least a 2.0 GPA and be a U.S. resident. Massachusetts residents may not attend. Johnson State College is a small college, beginning in 1828. The university is in Johnson, Vermont. The college of St. Joseph is a smaller university that has a high number of online programs. Over 50 bachelor programs are available in health, business, liberal arts, education, and humanities. Over a dozen graduate programs and certification programs are also online. St. Joseph offers several programs in theology with focuses in ministry, pastoral and sacred theology, and bible studies. The College of St. Joseph is a private, residential, Catholic, liberal arts college. The College of St Joseph is in Rutland, Vermont. The school enrolls around 650 students at any given time. Green Mountain College offers three Master Degree Programs; Master of Business Administration in Sustainable Business, Masters of Science in Environmental Studies and Masters of Science in Sustainable Food Systems. GMC offers online master’s degrees in different fields of science and business administration. The GMC program allows students several opportunities to meet with professors and peers in-person. GMC uses the learning management system Moodle; all online classwork is in Moodle. The university is a private environmental liberal arts institution located in Poultney, Vermont, United States. The list draws from the most outstanding colleges around Vermont. The combination of number of online programs, graduation rate, tuition cost, and overall quality of program based on student feedback determines each school’s evaluation and rank. We invite schools featured on our list or not highlighted to reach out for possible inclusion in an updated version of our most outstanding colleges in Vermont. We’re constantly looking to recognize top-tier institutions.